The M&C CONDOR combines our anti-pick, anti-bump, anti-drill and anti-impression security technologies into a single cylinder. In addition to the SKG*** requirements, the M&C CONDOR has a steel tubular bar. This bar makes it virtually impossible to break the cylinder – even without a door handle set. The M&C CONDOR is equipped as standard with an emergency and hazard function. 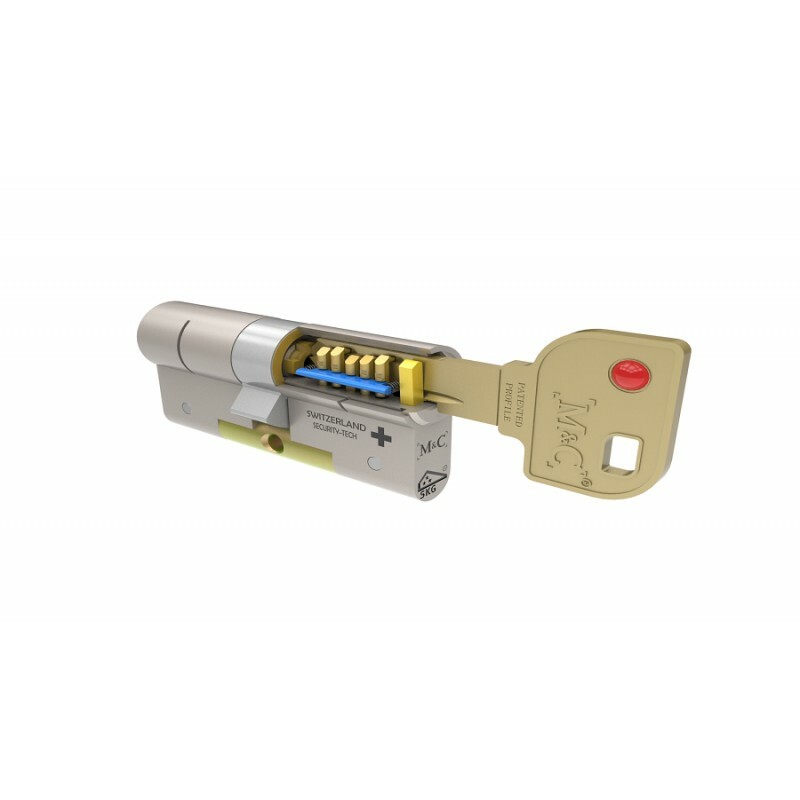 This means that you can open the door using a second key even when there is a key inserted on the other side of the cylinder. 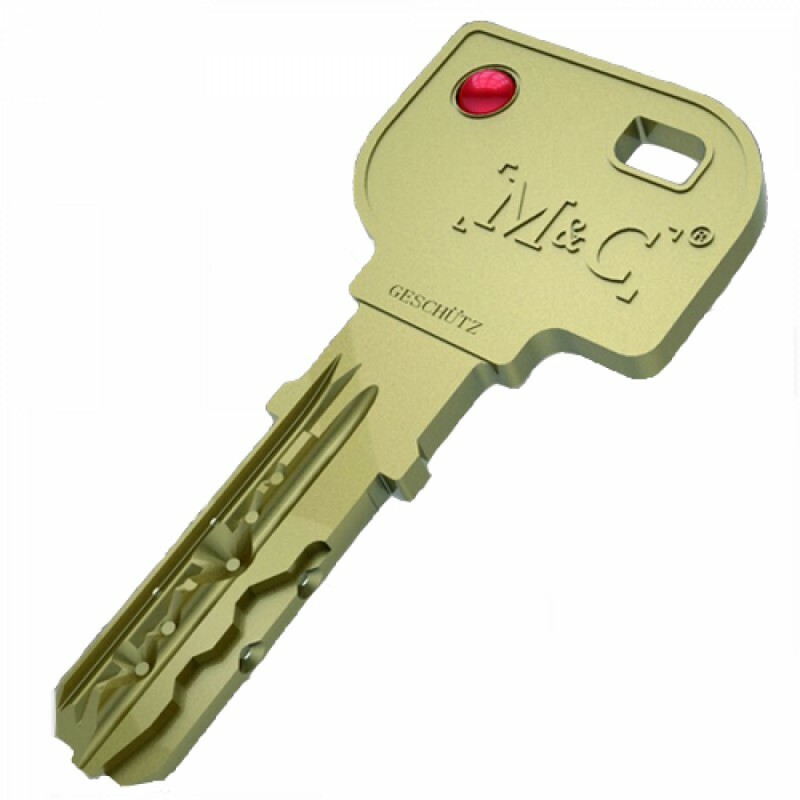 The CONDOR series keys are patented against unauthorized copying. They have additional security thanks to the raised profile. 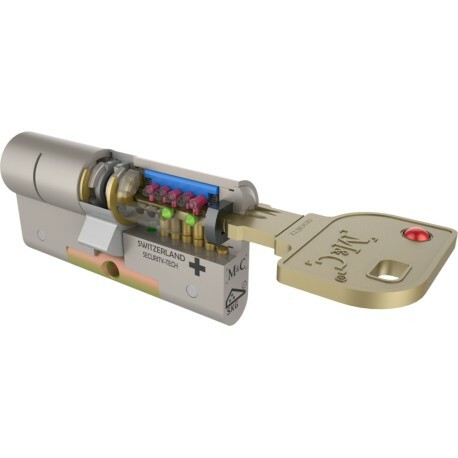 Each set comes with a certificate that allows you to have additional keys and cylinders made at an authorized dealer.